Illus. in full color. 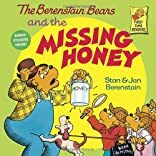 Papa Bear's favorite blackberry honey disappears, and the Bear Detectives set out to find the culprit.